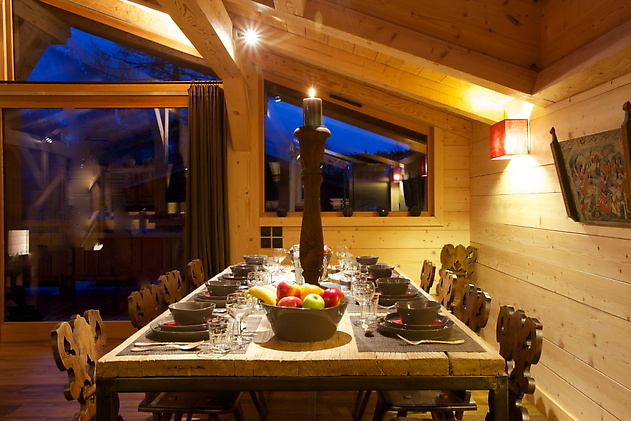 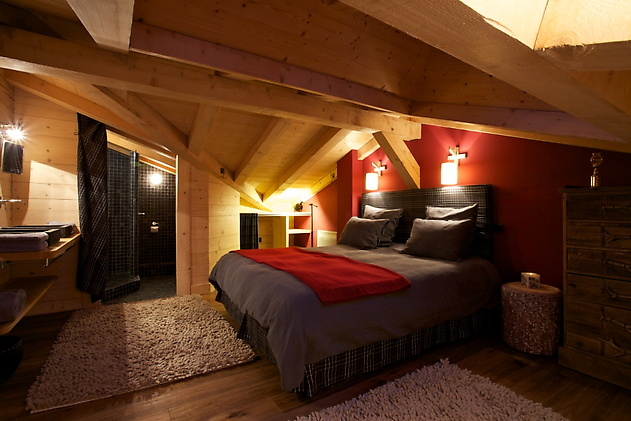 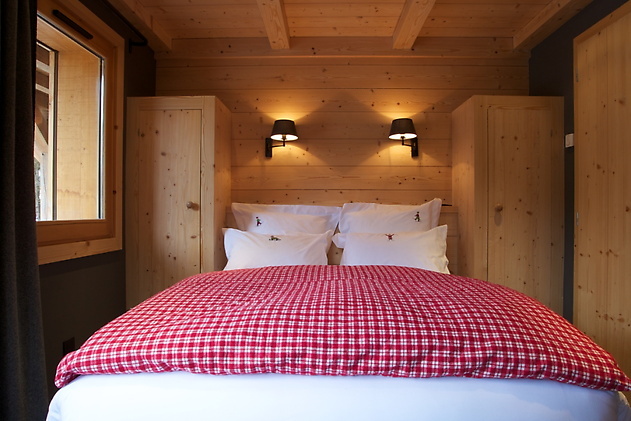 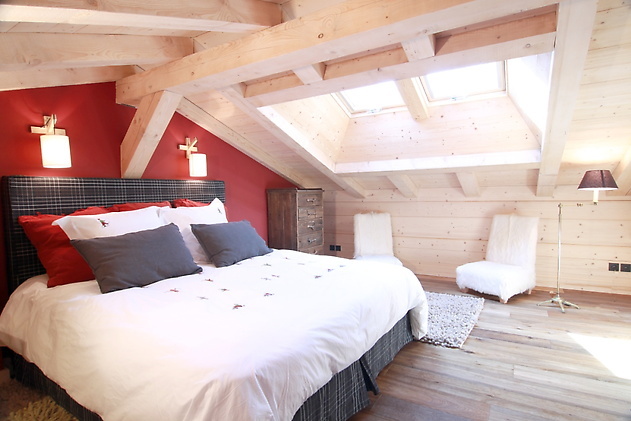 Chalet Gornergrat, a luxurious spacious, yetsnug feeling chalet has been fitted out using only the highest quality Savoyard style furniture and soft furnishing giving the chalet a wonderful warm and welcoming ambience. 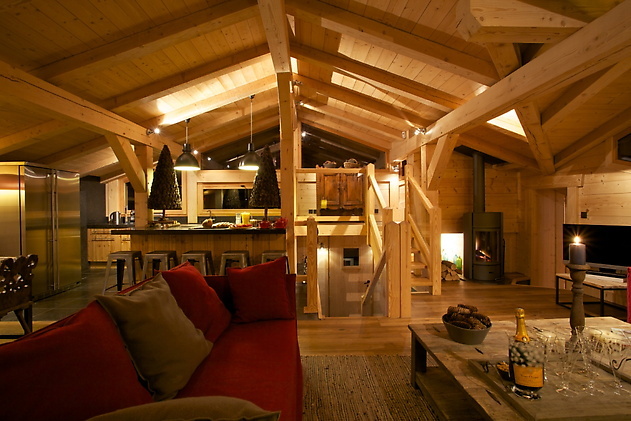 The interiors inspire a cool, calm and sophisticated atmosphere featuring, natural wood and local stone. 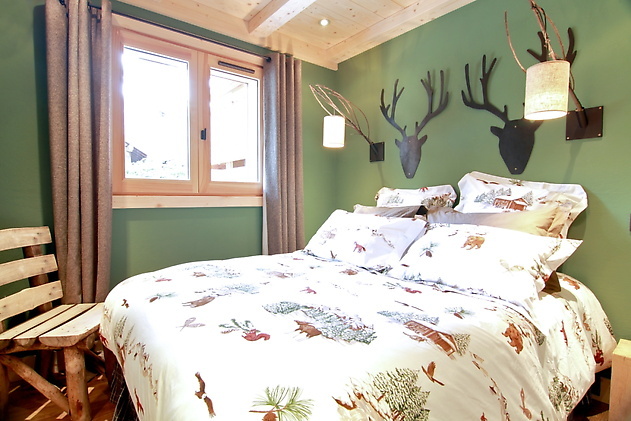 To benefit from the truly stunning views, the chalet has a huge, open-plan first floor and a wrap around balcony, allowing the whole area to be flooded with gorgeous Alpine sunshine. 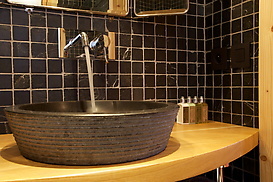 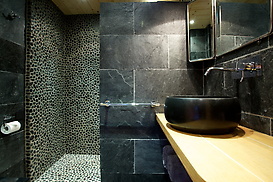 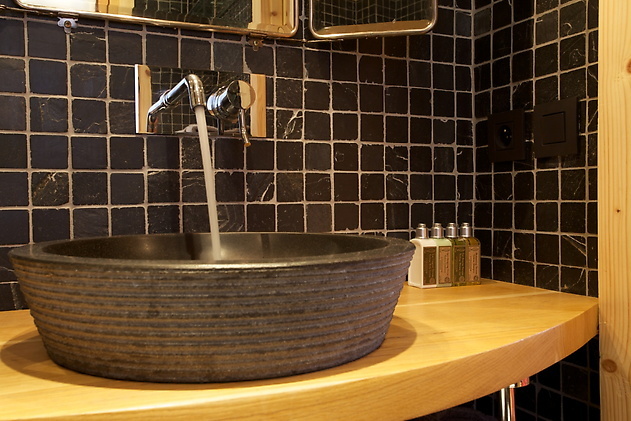 All the bedrooms are individually designed with fabulous en-suites. 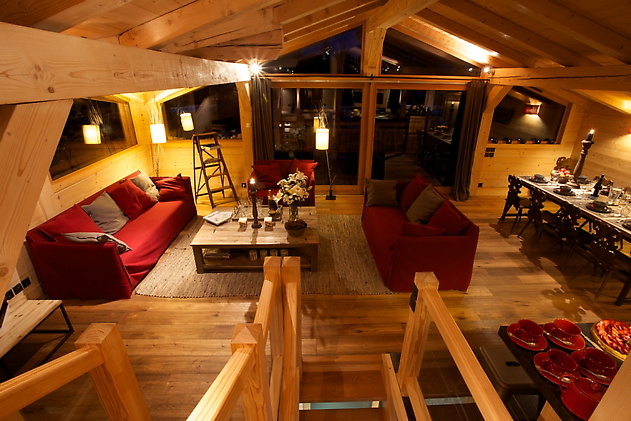 The luxurious facilities include a large LCD TV, DVD and iPod dock, a fully equipped kitchen area, a large dining area and spacious lounge with open fireplace. 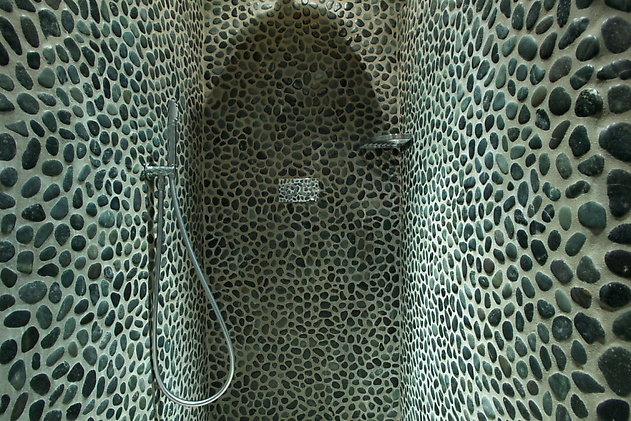 You can relax in the jacuzzi on the large private terrace or bask in the sun on the balcony. 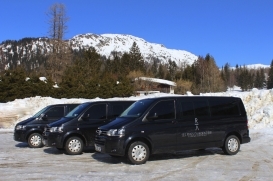 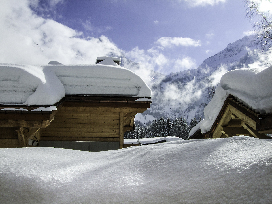 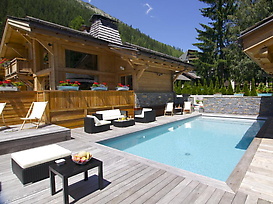 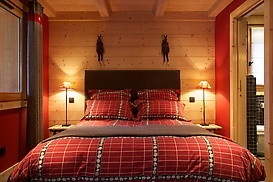 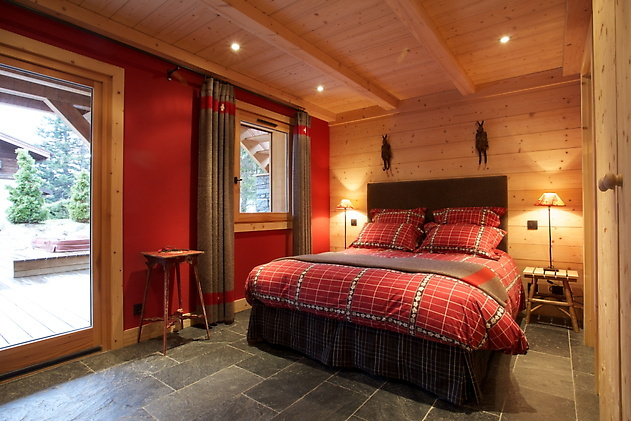 The chalet is next to the world famous Grands Montets ski area (5 min walk). 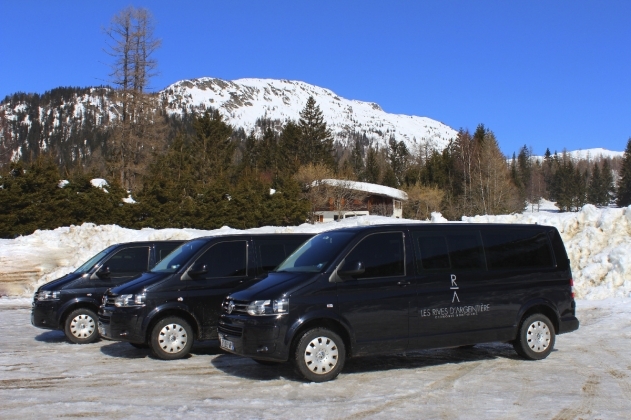 It is only a short drive away from the other Chamonix ski areas: Brévent and Flégère, Le Domaine de Balme - La Tour & Vallorcine, Les Houches and, via the Aguille du Midi lift station in central Chamonix, the amazing Vallee Blanche. 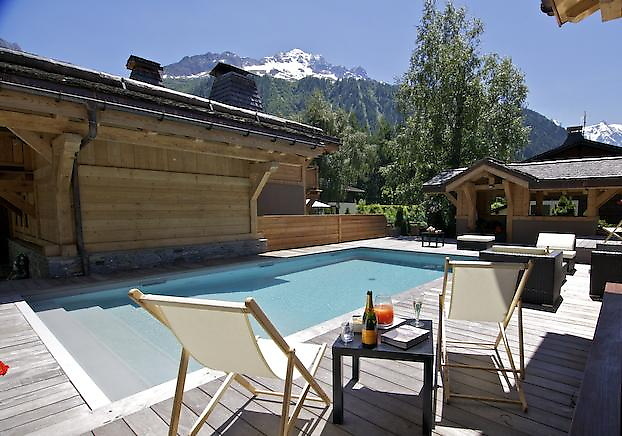 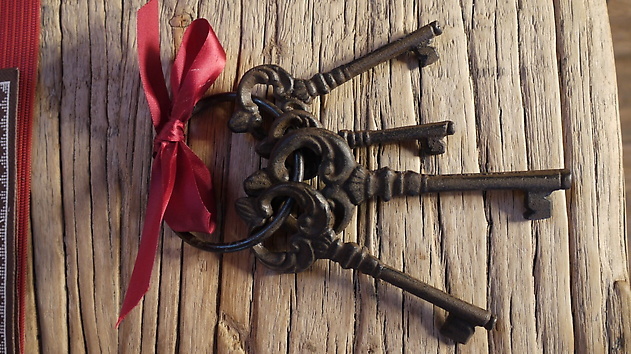 Nestled in a private hamlet of four luxury chalets all officially certified 5 *, (which can be rented together) it benefits from sharing some fantastic additional facilities. 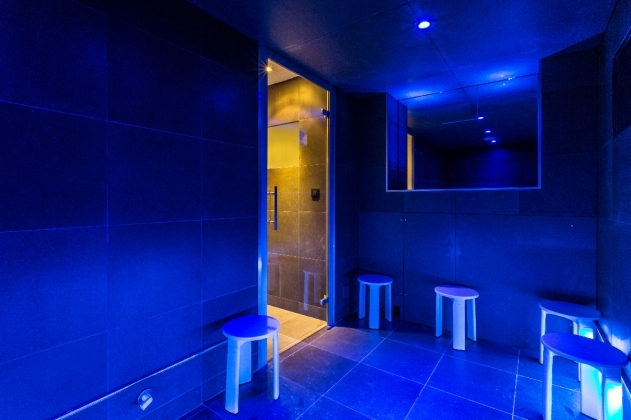 The complex includes a cinema room with Sky satellite, a hammam, a sauna, a gym and massage room, a wine cellar, and games room, as well as secure underground parking & heated ski and boot room and an outdoor heated swimming pool. 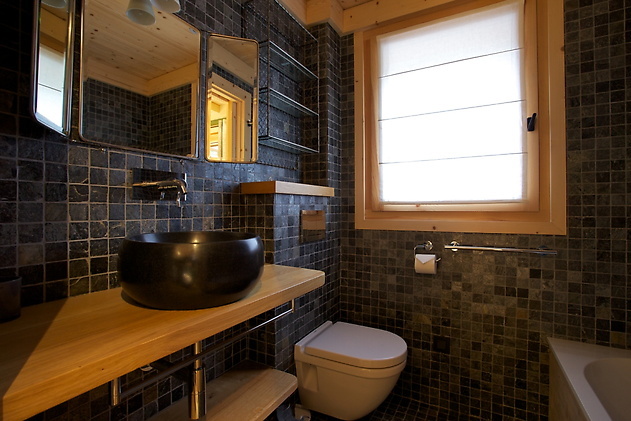 Magnificent 180 sq. 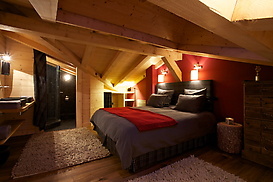 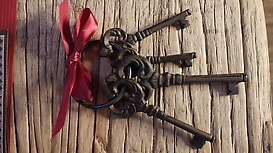 meters chalet for 10 to 12 guests on 2 levels plus 150 sq. 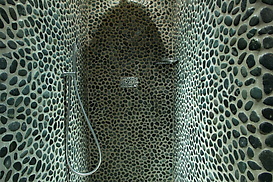 meters underground. 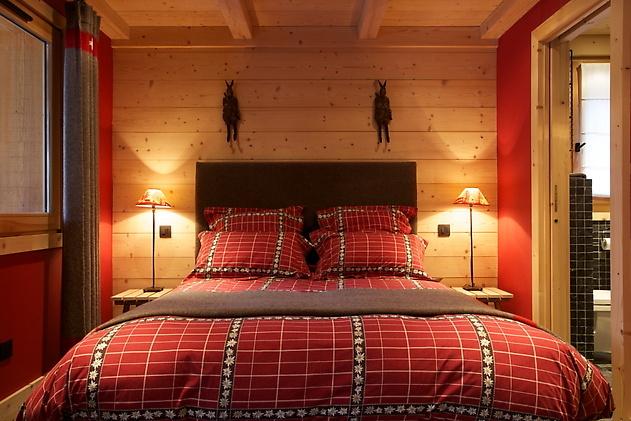 Exceptional quiet location in the center of the village of Argentière by the riverside but at only 100 m of restaurants and bars and at 5 min walk of the cable car of Les Grands Montets.